No matter if you’re a believer or not, visiting churches in Stockholm is a great way to spend your spare time. You don’t need to plan it, it doesn’t take a long time and often it’s for free. So next time, when you pass one of the churches, just step inside, open our guide and enjoy the beautiful architecture and fantastic history. Lars Israel Wahlman is the architect of Engelbrektskyrkan. In 1906, he won the architectural competition by presenting his project of the Engelbrektskyrkan. On the 25th of January 1914, the church was open to the public for the first time. King Gustaf V was present at the event. If you want to visit this beautiful church, you will have to take many stairs up because the church is located on a big rock. The nave of the Engelbrektskyrkan is the highest one in all Scandinavia and the large arches are supported by 8 granite columns. Engelbrektskyrkan is full of peace and absolutely stunning. 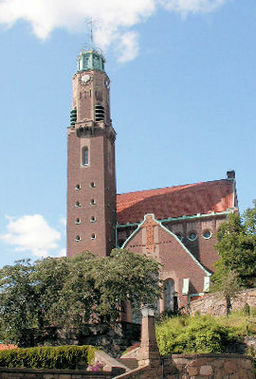 In 1906, the Gustav Vasa Kyrka was opened to the public. The altar in the Gustav Vasa Kyrka has a Baroque style and is one of the biggest of its type in Sweden. 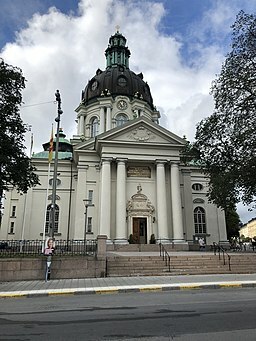 The central part of the Gustav Vasa Kyrka was designed by Agi Lindegren in Italian Neo-Baroque style. The dome is 60 meters high. The marble pulpit was designed by Agi Lindegren and the font by Sigrid Blomberg. In the baptismal chapel, you can admire a precious painting from the 15th Century. The artist Vicke Andrén created the magnificent paintings on the dome. Olle Olsson had been the organist of the Gustav Vasa Kyrka for 50 years and he participated in building the organs. In the place of Klara Kyrka, there was a convent of St. Klara which was there until the year 1527. Gustav Vasa gave the order to pull down the convent and the son of Gustav Vasa, Johan III gave the order to build a new church, the Klara Kyrka in 1590. In 1751, a big fire destroyed the church. Carl Hårleman and C.F. Adelcrantz were in charge of the reconstruction program. The architect Carl Hårleman designed the pulpit while the J.T. Sergel created the angelic figures. There are many beautiful details to be admired here. 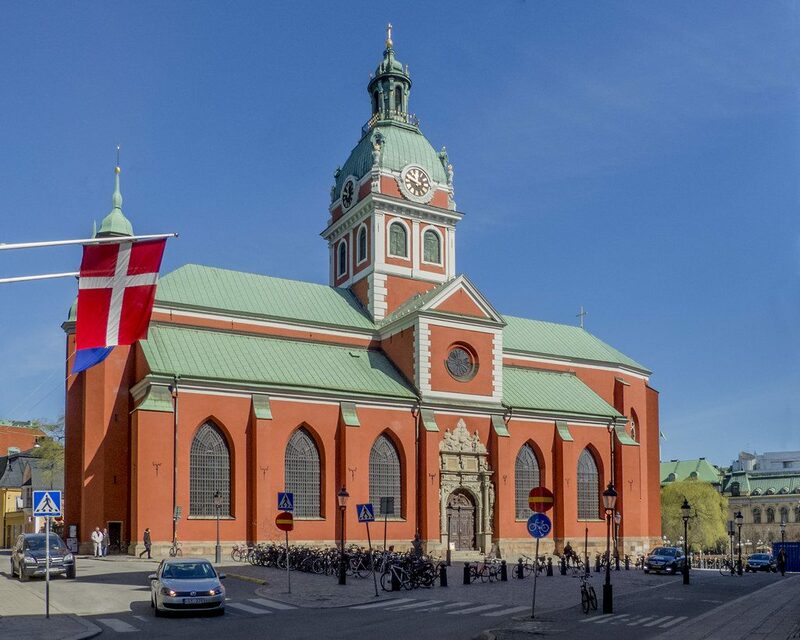 In the chancel, it is possible to admire two twin angels, the 116-meter high tower which was built over the church in 1880 and impressive vault paintings created by Olle Hjortzberg. In the 16th Century, King Gustav Vasa gave the order to destroy the chapel and a little church dedicated to St. Jacob, who was considered the saint of wayfarers. Later, Johann III gave the order to build two new churches, the St. Jacob church and the St. Klara church. In 1643 the St. Jacob church was consecrated. Since then the St. Jacob church has been restored many times and many objects of value were preserved. For instance, a baptismal font, which had been built in 1634. Also, some church silver was preserved. The outstanding architect Carl Hårleman created the organ’s facade. Fredrik Westin, a famous Swedish painter painted the west wall of the St. Jacob church. As you can see, sightseeing the churches in Stockholm can be really fun, especially with Laura’s guide. 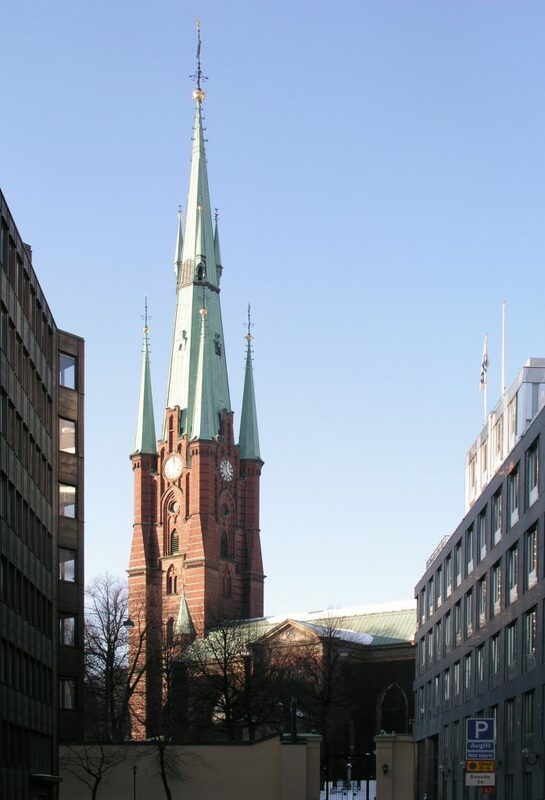 Let us know in the comments if you know any other interesting facts about the Stockholm’s churches or if you have any other recommendations. I was born in Berne, where I grew up. My parents were migrants from Italy. I spoke Italian at home and Swiss German at school. As Psychologist and Psychotherapist I have worked in many Centers for Psychiatry and Psychotherapy in Switzerland. On August first, 2018 I moved from Switzerland to Sweden because my partner has got an employment for 12 months at the Royal Institute of Technology (KTH) in Stockholm, Sweden. As I do not have an employment here, I decided to become a volunteer with the precise aim to be useful for the community on the basis of my professional background.